Protective Conduit for Sensor Technology. A range of small diameter conduit suitable for sensor applications. 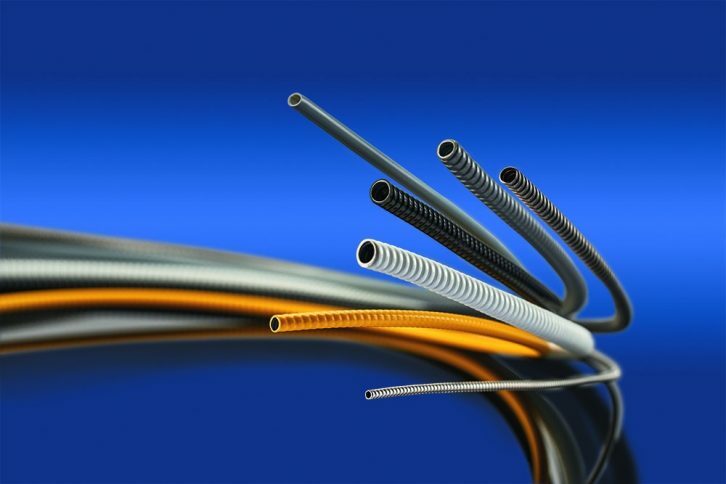 We have a range of flexible conduit suitable for applications for the field of sensor technology. The smallest being in the cable diameter of 4,4mm with an internal diameter of 2,5mm. Steel with electrically conductive PVC sheathing. Stainless steel with fiber glass braiding and silcon rubber sheathing.